When I decided that in November there were no balance bikes on the market that suited what I wanted for my nephew I decided I would build one. Where do you start when building something so simple yet so complex? Of course you could buy some tubes and knock one together in your garage with that old dusty welder of your great grandfather’s that sits in the corner. Or you could go and learn how to off one of the most popular companies offering such courses. I sought out The Bicycle Academy and made a few inquiries, as luck would have it they had space on their course on 2nd and 3rd December. That was it I booked on and arranged the hotel. A 4.00AM start was not welcomed, however the hot shower was, only to be followed by a tedious 4 hour drive (traffic was awful). On Arrival I had no problem finding the workshop, greeted with offerings of large mugs of tea/coffee, I already felt very welcome. I had to decline this offer being an hour late I didn’t want to disrupt things too much. Andy took me and two other gents (both starting the 2 week advanced frame building course) through health and safety. I was told that I would be taught by a guy named Paul. Really genuine guy that knew what he was talking about he showed me what I needed to do and let me get on with it. 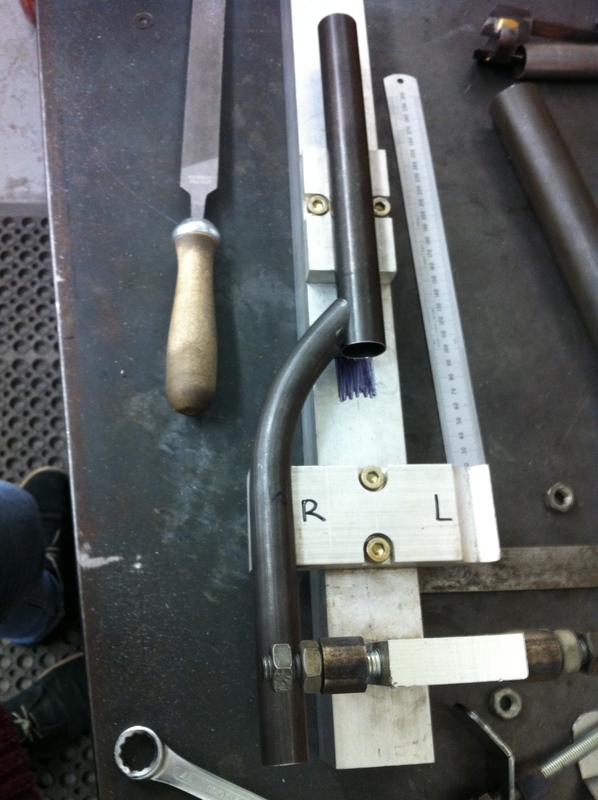 First thing to build was the forks, the tubes had been cut to approximate measurements and given a 45 degree bend, they still however needed cutting and filing to shape to fit the steer tube of the fork. This was done with minimal help other than a pair of tweezers to remove the tiny splinter of metal in my finger. The next step was to file the hole where the seat tube would fit and then on to making the rear seat/chain stays (neither of which are correct as they don’t connect to seat tubes and also don’t pass through the centre of a chain). 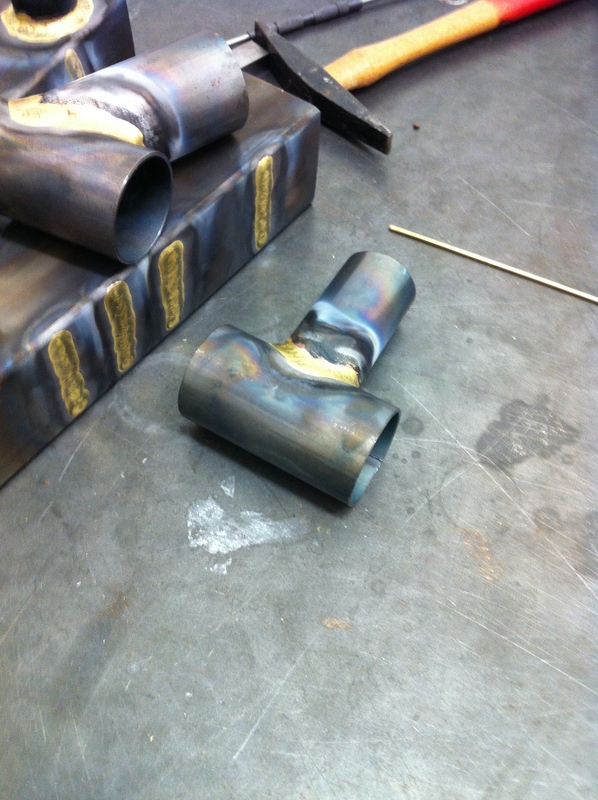 Brazing is an art form and was taught to me by Sam who I must say was very patient and helped tremendously. The overall frame looked brilliant when I finished only due to the help of everyone at The Bicycle Academy. 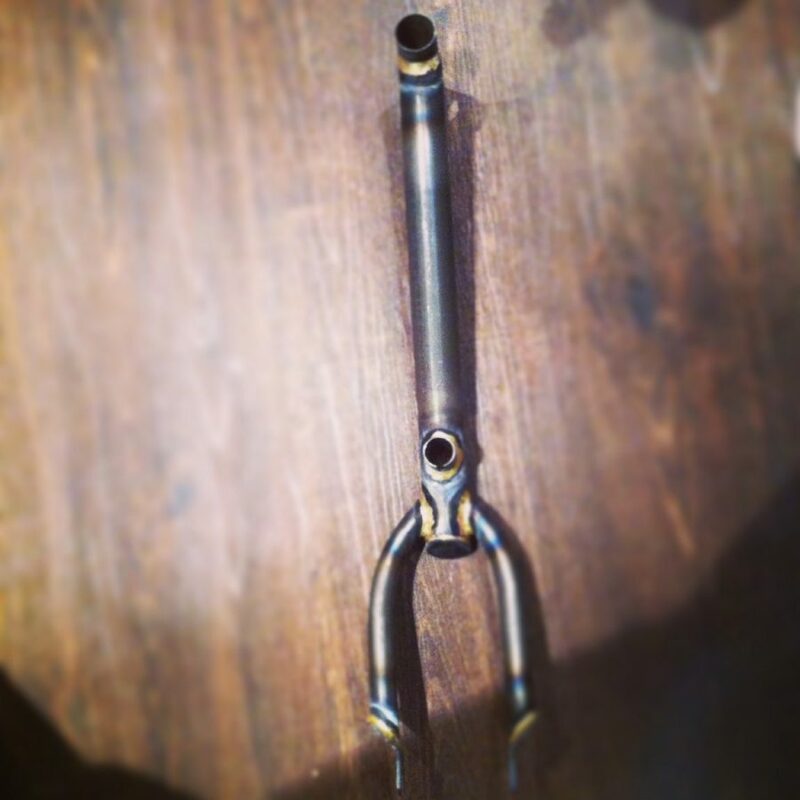 The course is well run by a team of people that are totally in love with cycling and also have a passion to hand on their knowledge of frame building to others. The facilities were very good, clean and working areas tidy. I would highly recommend the course to anyone who wants to learn something that is totally unique. I was so pleased with the course I will be booking onto their ‘Standard Frame Building Course’ next year.